Mr. Ebrahim Nonoo, Managing Director and CEO of BFC Group Holdings and Bob, BFC's New Brand Ambassador. Bahrain Financing Company (BFC), the Kingdom’s oldest, leading money transfer and currency exchange specialist, has announced today the launch of its new brand ambassador – Bob, Your BFC Buddy. As the new friendly face of BFC, Bob’s role as brand ambassador is to be the customers’ BFC Buddy providing his guarantee they will receive great rates and customer service with every transaction undertaken across its network of over 40 retail branches in Bahrain. Bob, a strong yet trusted and friendly character, who embodies BFC’s core values of Care, Trust and Efficiency, will feature in branch, online and through social media communicating BFC’s money transfer and currency exchange products and services to the public. 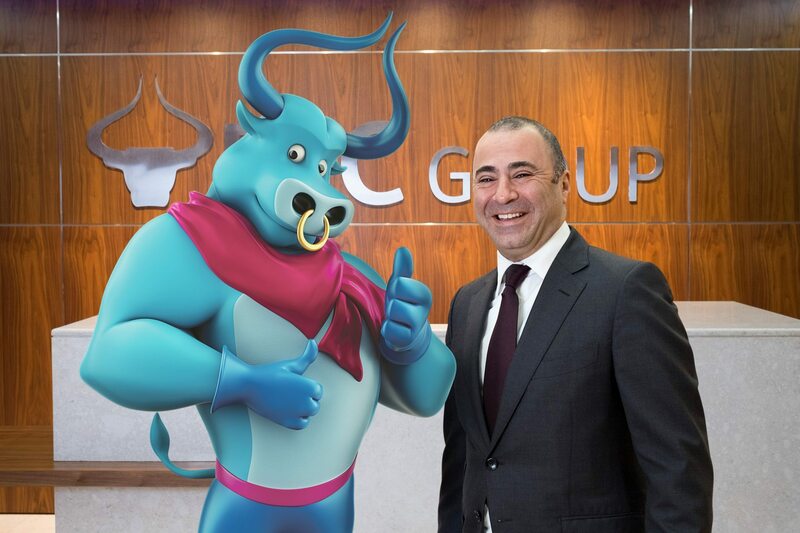 The creation of Bob is a global initiative led by BFC Group Holdings, the parent company of BFC in Bahrain, Bahrain Exchange Company in Kuwait, BFC Forex in India and BFC Exchange in the United Kingdom and Malaysia. The unveiling of its new brand character is in conjunction with its recently renewed vision ‘To be the prominent money service company that fully engages with its customers, keeping money flowing across borders’. With a history dating back to 1917, when BFC first began trading in gold bullion and currency exchange, the Group has built a strong and trustworthy brand that customers rely on to send money worldwide and exchange foreign currency at great rates. BFC has over 40 branches across the Kingdom of Bahrain and specialises in sending money around the globe safely and quickly to over 54,000 locations in 30 countries, through its own money transfer product – EzRemit. Its global reach is extended to over 200 countries through its partnership with MoneyGram an international remittance company. BFC is the main provider of foreign currency exchange in Bahrain and customers can buy or sell foreign currency at competitive rates in the market from any of the BFC branches.